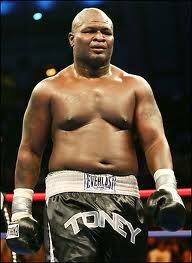 In his last few boxing fights, Toney looked like he was in the wrong place and definitely at the wrong time. He looked awkward, inactive, and unexciting. So what can potentially change for Toney when facing a UFC fighter. Time has shown no mercy for James, making him considerably weaker, slower, and much less involved in what he does. The Mike Tyson had the fuel-injection momentum of Melvin Manhoef without the kicks, and Manhoef has earned wins despite having no ground aptitude whatsoever. Sometimes a guy's sheer steamrolling is enough. The highly athletic and the highly aggressive. MMA has become the world’s fastest growing sport in recent years, with the likes of Brock Lesner and Anderson Silva now household names amongst fight fans, so White and his organization stand to lose big if things don’t go according to script. One man who definitely won’t be looking for a repeat scenario will be UFC president Dana White, who said this ‘freak show’ at UFC 118 will make an example out of the brash talking boxer.